Bladder stones are mineralized objects that form in the bladders of dogs and cats. They are often caused by urinary tract infections. Diet may be another factor. Clinical signs include difficulty urinating, bloody urine, or urinating a little bit at a time. Left untreated, bladder stones can become life-threatening. Diagnosis is confirmed with radiographs (x-rays) and/or ultrasound. Sometimes the stones can be felt within the abdomen. Treatment includes surgery, antibiotics, and/or dietary management. 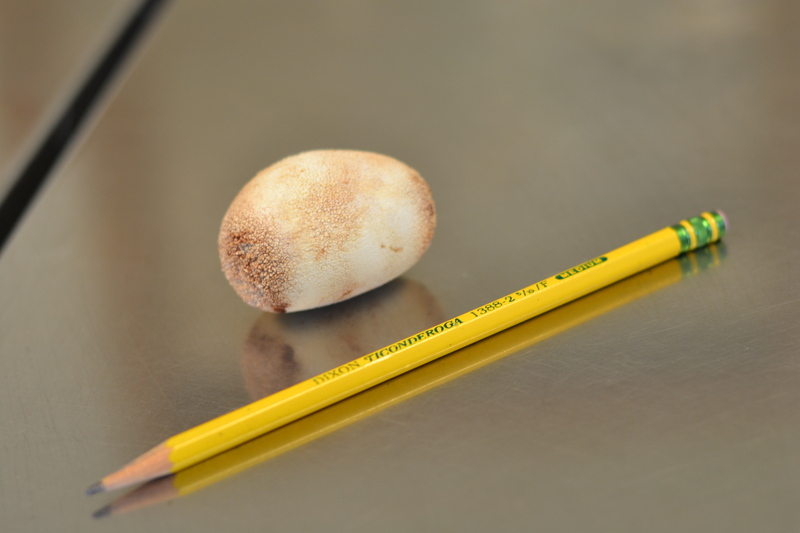 Stones are often sent to the laboratory for analysis following surgery. Common types are magnesium ammonium phosphate and calcium oxalate. For more information or if you believe your dog or cat might have bladder stones, please call us. 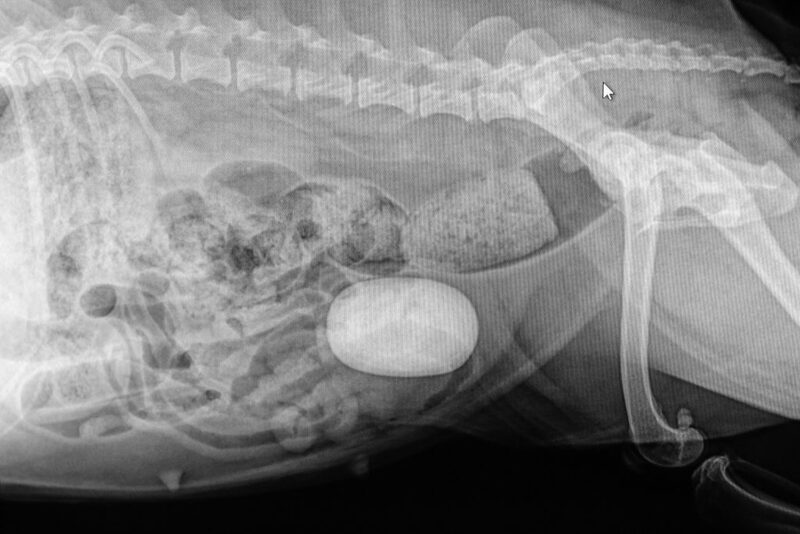 Bladder stone in a dog. Evesham Veterinary Clinic, Marlton, NJ.